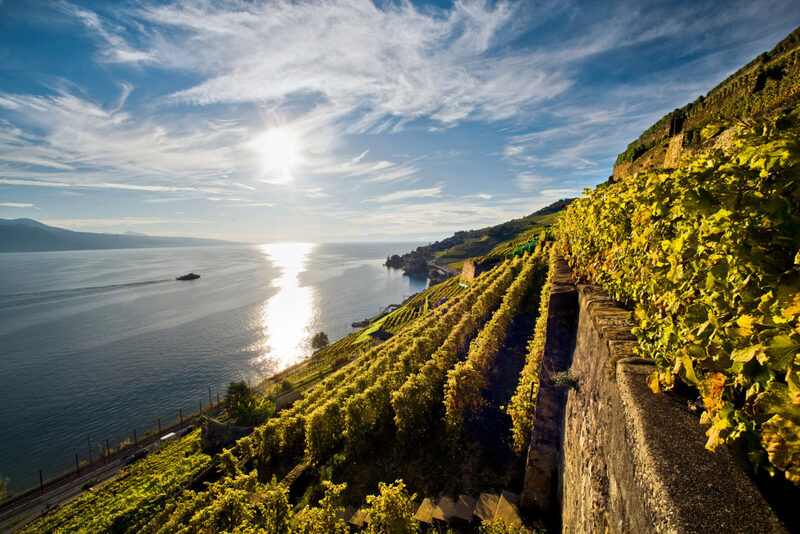 TERRACE VINEYARDS LAVO ARE LOCATED IN THE SWISS CANTON IN THE TERRITORY OF SWISS Canton IN THE NORTH EAST OF THE GENEVA LAKE. 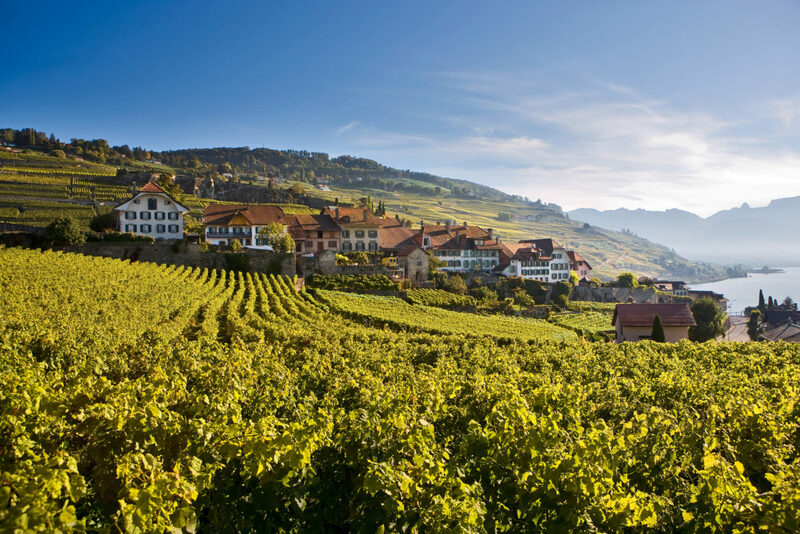 THE WINE REGION EXTENDES TO 805 HECTARES, AND THE STRETCH OF GRAPE ROWS OF GRAPES IS ABOUT 30 KILOMETERS. 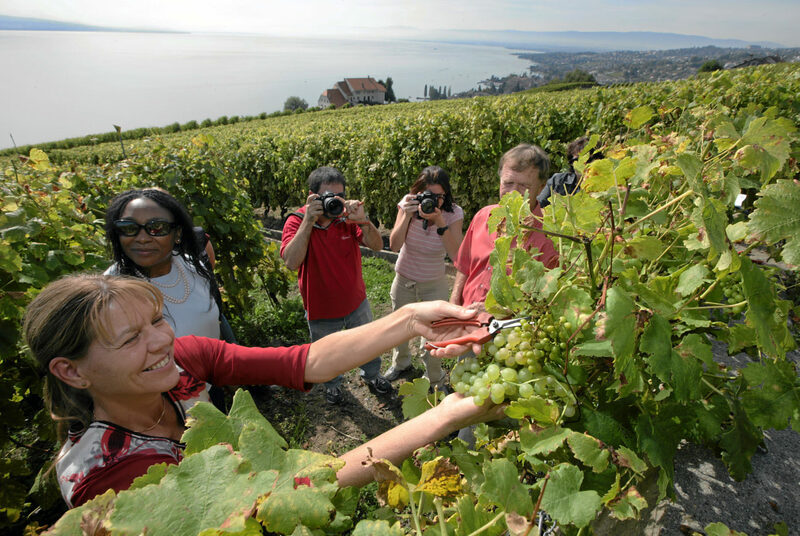 Lavaux Vineyards Tours (“In search of beauty and peace”) It is worth visiting Lavaux Vineyards, which are the World Heritage site, in any time of the year, probably, apart from winter. 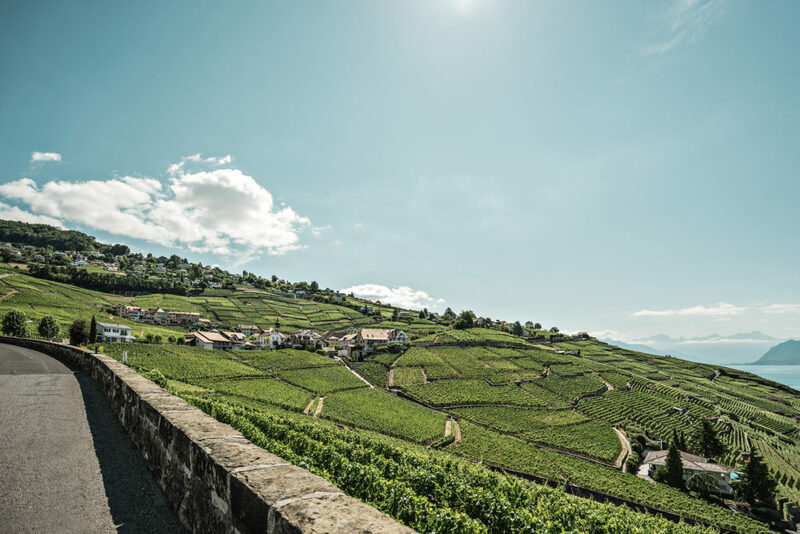 • What do the “three suns” of Lavaux Vineyards mean? 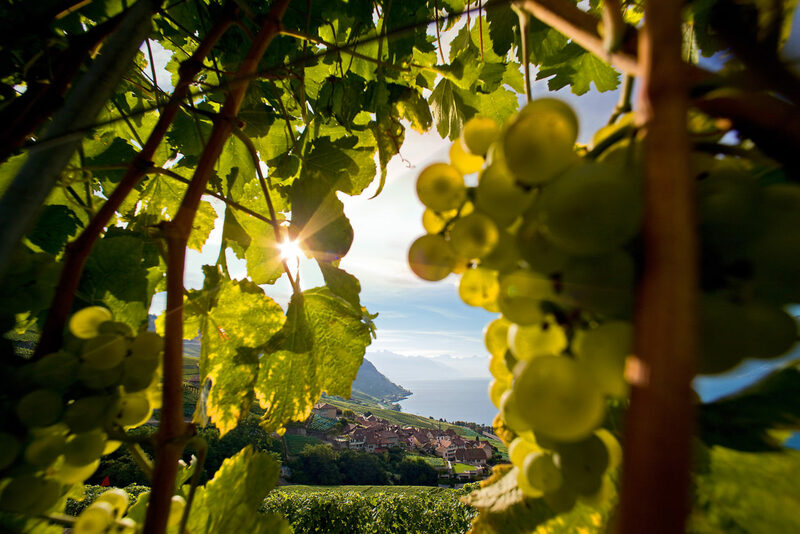 • Which famous sort of grape has its origin here? • What site is also called “a small Chillon castle”? • Who created these unique terraces? • Why do roses bloom here? • Where is arguably the best panoramic restaurant / bar of the region situated? • What did the hills look like a thousand years ago? • How do the winegrowers families live nowadays? • As legend has it, who is the first to taste the wine?